There are hundreds of residents throughout Dorset that would love to be able to renovate their homes, making alterations and improvements. Others would like to utilize a skip to clean out their home’s clutter and free up a great deal of space, currently taken up by junk and all manner of unwanted stuff. Regardless of which category you may fall into, it is imperative to understand that skip hiring within the area, can be incredibly expensive. At the same time, attempting to acquire the permit that is needed to place a skip outside of your residence, can be very complicated as well. The good news though, is that you’ve come to the right place. 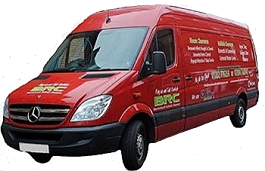 Our company BRC offers comprehensive skip hire comparison alternatives, which are effortless, affordable and stress free. However, there are numerous situations, in which a skip could prove to be very advantageous. First and foremost, you may wish to renovate your home over a period of time. This will result in a large accumulation of debris and trash. A skip will be very helpful, since it will give you a convenient place to dump the garbage and keep it out of your work space whilst the job progresses. Below, you’ll find a list of other times, when a skip could be helpful if disposing over time. If you’re interested in placing a skip outside of your home, you’ll need to go through a lengthy process, which may not be worth it in several aspects. Not only will you need to spend excessively, but also you’ll need to acquire several permits. Below, you’ll learn about the requirements of skip hiring. Of course, the negative issues associated with skip hiring do not stop there. At the same time, depending on size you may only gain access to 6 cubic yards of volume. Also, it is possible for those passing by to fill your skip with unwanted trash. This could cause you to run out of space, before you’re even able to get the job completed. So in the end, using a skip might not be worth your effort, time or money. If you’re looking for a better alternative, you’ve come to the right place. Our company can provide you with all of the benefits associated with skip hire and then some. When utilising our services, you’ll be able to dispose of 13.5 cubic yards of volume and will not have to worry about spending excessively on any permits whatsoever. Instead, you will only be required to pay for the junk that we remove from your property. Our technicians will treat you kindly and will tend to each and every one of your needs, until the waste is completely removed and disposed of. Remember that we offer an abundance of different services, including commercial waste clearance, house clearance, garden clearance, and more. When you’re in need, you should pickup that phone and give us a call at the numbers below and above or send an email via our Contact page.